Proteus Biomedical has teamed up with Lloydspharmacy to sell Helius, a smart pill that tells a patient when to take a drug. The Californian firm Proteus Biomedical designed the ingestible sensors that are activated by stomach acids after being swallowed. These sensor-enabled tablets, branded as Helius, track when patients take their medications and how they respond to them. Helius is set to be launched in September, and will include a red placebo sugar pill containing a safe and soluble microchip developed by Proteus that patients swallow alongside their existing medicines, an adhesive patch to be changed once a week, and data support. The sensors release copper and magnesium into the body, which is then detected by a patch that attaches like a bandage to the patient’s skin, taking a digital stamp of when the pill was digested. It also relays the patient’s heart rate, respiration, and temperature to track how a patient is responding to the drug. The information can then be transmitted to a patient or carer’s mobile phone or computer. The aim is to help patients take the right medicines at the right time, as many forget to take their treatments. 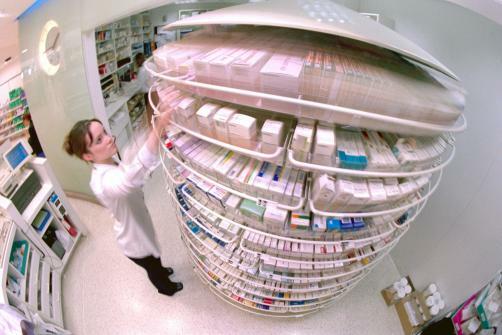 The Department of Health recently said half of patients do not take their medicines correctly, and this costs the government around £400 million a year in wasted prescriptions. Steve Gray, healthcare services director at Lloydspharmacy, said: “There is a huge problem with medicines not being taken correctly. Anyone taking several medicines knows how easy it can be to lose track of whether or not you've taken the correct tablets that day. The system has already been tested in disease such as tuberculosis, hypertension, and diabetes patients, among others, Proteus said. Neither firm would comment on the cost of the digestible chips, but the Financial Times estimates it will be around £50 a month. It is not the first ingestible sensor - in the past, such sensors have been used to measure astronauts’ and athletes’ core temperatures. Scientists have also put miniature cameras into pills to view the digestive system internally.